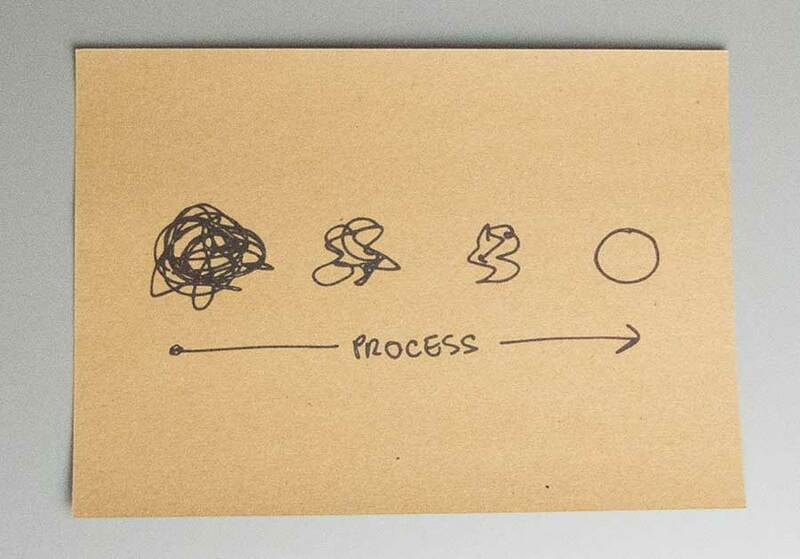 I love this sketch from my friend Brendan Dawes – it conveys the creative process beautifully. I’ve seen Brendan use this in his talks, and as he says, it’s always met with a flurry of smartphone action, I may even have snapped it myself. Brendan is now releasing it as a robot drawn print in a limited edition of just 100. By far my most played and most loved new music of 2018 is Preservation by Keynvor. Preservation is a wonderful EP, composed by Sebastian Plano, that combines modern classical almost soundtrack-like music with recorded soundscapes of the rugged Cornish coast to create a beautifully evocative suite of music. 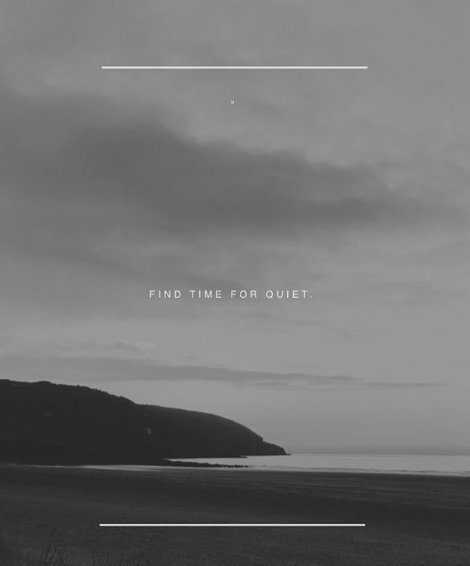 Keynvor (pronounced Cain-Vor) is the Cornish word for ocean, and the recordings of the Cornish Atlantic coast are intertwined with the music to spine-tingling effect. Preservation is supported by Cornish brewer Sharps, with royalties from streams and downloads being donated to Cornish based charity Surfers Against Sewage to help fund their campaign against plastics and pollution in our oceans. Download and enjoy, maybe with a Cornish beer, and help support the campaign to keep our oceans clean. Earlier this week I found myself looking at posts I published 10 years ago and noticed a few missing videos. “I’ll just sort those out” it thought, and ended up revisiting every single post in the 15 year history of this blog. Most of the videos just needed updating to https versions – nice and easy. Some video links were broken, most were easily replaced, but some videos are no longer available, lost forever, and so I had to remove many of those posts. A number of my older posts included or linked to photos of mine on Flickr – I deleted that account years ago when Flickr started changing and then charging. I occasionally regret doing so, but Flickr isn’t what it once was. These days I share photos via Instagram, but I view posts on Instagram as a passing references to a moment in time; Instagram is not a store or gallery in the way Flickr was. Twitter too is fleeting – when did you last refer to an old tweet, assuming you could even find it? My Tweets are automatically deleted at regular intervals such is the disposable nature of social media these days. Which brings me to the point of this post, alway host your own words and images unless you view them as 100% disposable. If you created it and care about it, make sure you own it. 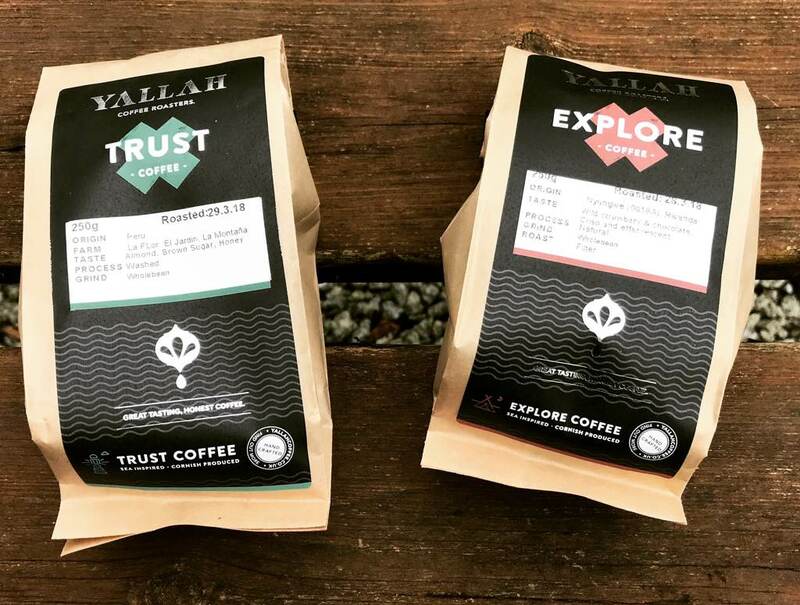 I came across Yallah Coffee the week before I was due to travel to Cornwall, where Yallah are based, and in a wonderful piece of synchronicity they are located just a few miles from where we were going to be staying. A couple of emails later and Rich had kindly agreed to meet me, and let me look around. 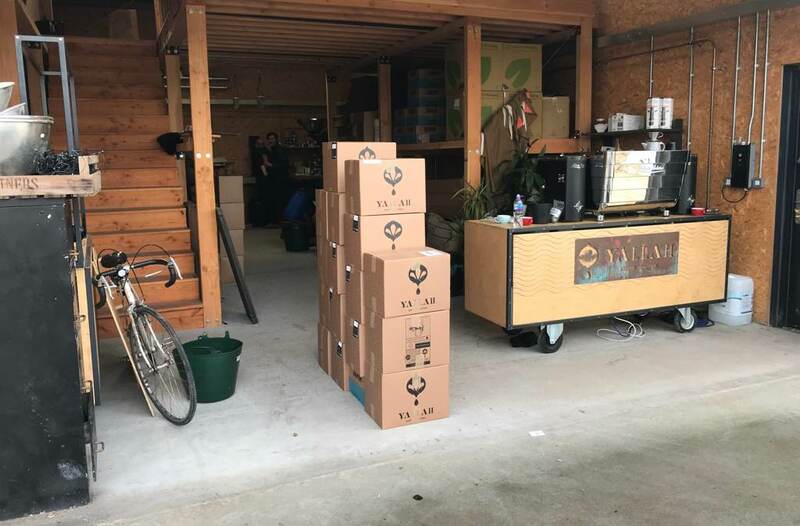 Yallah are a small speciality roaster that sell to the trade and via their website. My first question was to be “why Cornwall?” but when you see their location on a farm, in a lovely location, overlooking beautiful Cornish countryside why would you want to be anywhere else? 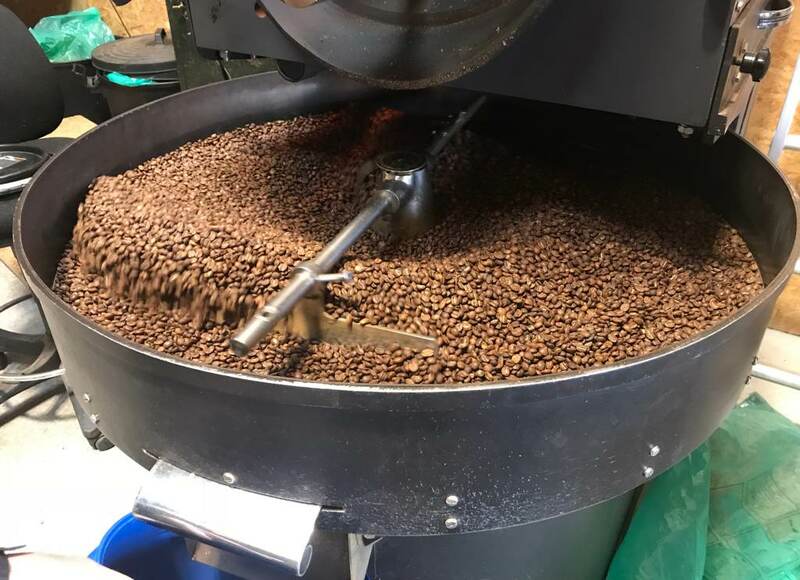 Yallah have direct trade agreements with farms in Rwanda and soon Latin America, which demonstrates a real commitment to high quality and ethically produced coffee. 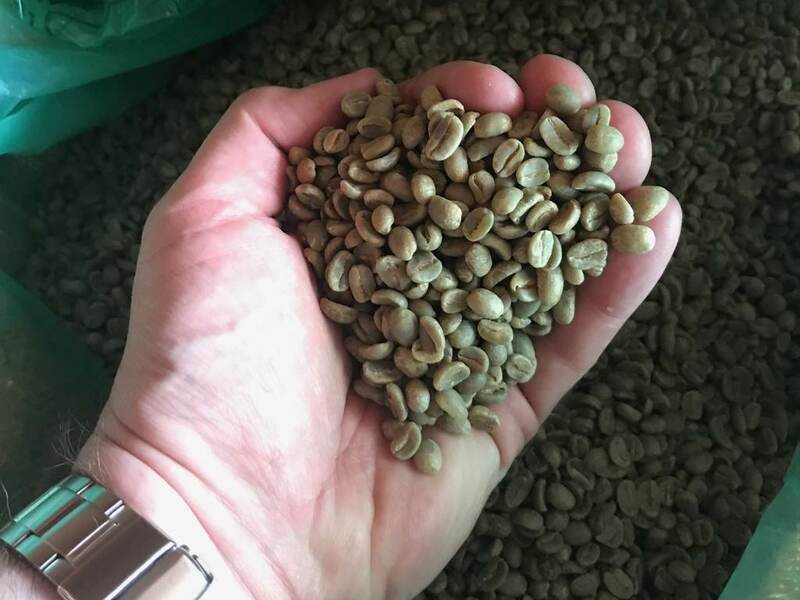 I was fascinated to see green coffee beans or the first time – coffee beans are green before roasting. There were three varieties waiting to be roasted, I was surprised that even before roasting each type had its own unique smell. Yallah roast in small batches on the premises, the smell was fabulous, and watching the transformation from washed green beans to dark roasted beans felt like watching magic. I bought two coffees whilst there, one each from Peru and Rwanda. Both are exceptional, but the Flor Del Norte from Peru has a wonderful balance and gorgeous depth of flavour. Good people making great coffee – highly recommended.